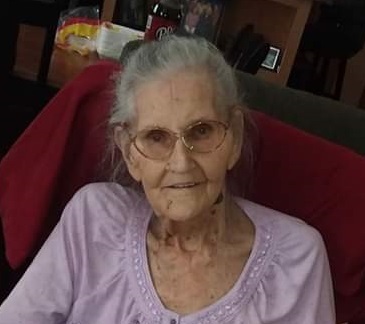 Haysi, VA – Maggie Alean Owens, age 88, passed away Friday, October 19, 2018, at the home of her daughter, Patsy. Born in Buchanan County, she was a daughter of the late Carson and Ida Mae Compton Owens. She was a homemaker and member of the Cranesnest Primitive Baptist Church since 1988. 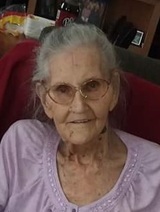 In addition to her parents, she was preceded in death by her husband, Burton Owens, sons; Jerry, Larry, and Barry Owens, a daughter, Wanda Owens Charles, a son-in-law, Clemis Deel, and three sisters; Ines Owens, Reba Owens, and Liz Owens. Survivors include four daughters; Brenda (Dee) Stanley of Haysi, Linda (Doug) Coleman of Vansant, VA, Deborah (Vendette) Deel of Haysi, and Patsy Deel of Haysi, 10 grandchildren, and 14 great-grandchildren. Funeral services will be conducted 11:00 a.m. Monday, October 22, 2018 at Haysi Funeral Home with Elders Noah Kim Edwards, Hoey Lester, and Roger Fuller officiating. Burial will follow in the Burton Owens Cemetery, Vansant. Family and friends will serve as pallbearers. The family will receive friends after 6:00 p.m. on Sunday, October 21, at the funeral home where an evening service will be held at 7:00 p.m. Online condolences may be sent to www.haysifuneral.com. Haysi Funeral Home is in charge of the arrangements. To send flowers to the family of Maggie Alean Owens (Owens), please visit our Heartfelt Sympathies Store.